Orinoco Coffee & Tea’s legacy spans four generations of growers, exporters, importers, and roasters. Today, CEO Pedro Ramirez and Master Roaster Juan-Carlos Ramirez infuse their family’s heritage into every bag of coffee the company produces, using only the highest-quality beans procured from the finest production regions throughout the world. A client since 2015, Orinoco has worked closely with IMPACT on various marketing projects ranging from social media campaigns to trade show appearances. When Orinoco perceived that its brand – not its brews – needed a refresh, the company turned to IMPACT Marketing & PR to give its image a new jolt. After advancing their visual identity with an updated logo that focused on company legacy, IMPACT spearheaded an elaborate redesign of Orinoco’s coffee bags. 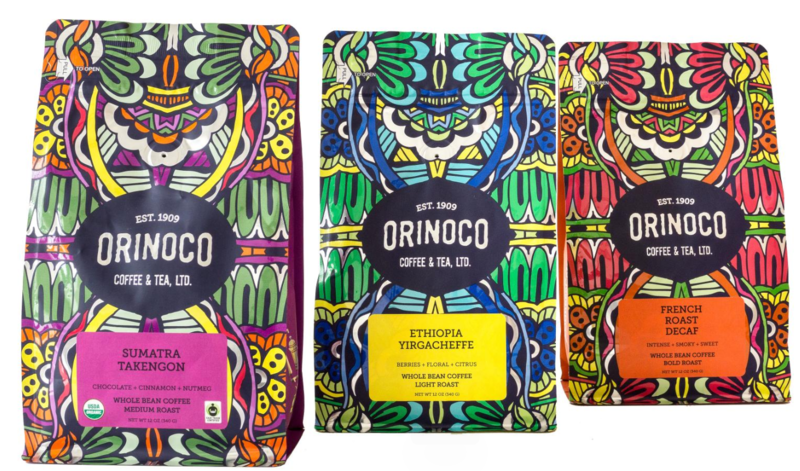 Colorful variations on a striking, Folk Art-inspired design served as an outward expression of the company’s coffee-making roots and accompanied four of Orinoco’s most prominent coffees: Regular Caffeinated, Decaffeinated, Fair Trade Organic, and Seasonal Autumn – each inspired by a different facet of Orinoco’s journey. A full-fledged social media campaign – featuring the #BoldlyOrinoco hashtag – helped to drum up anticipation for this new look and kept fans anxiously anticipating a full reveal. 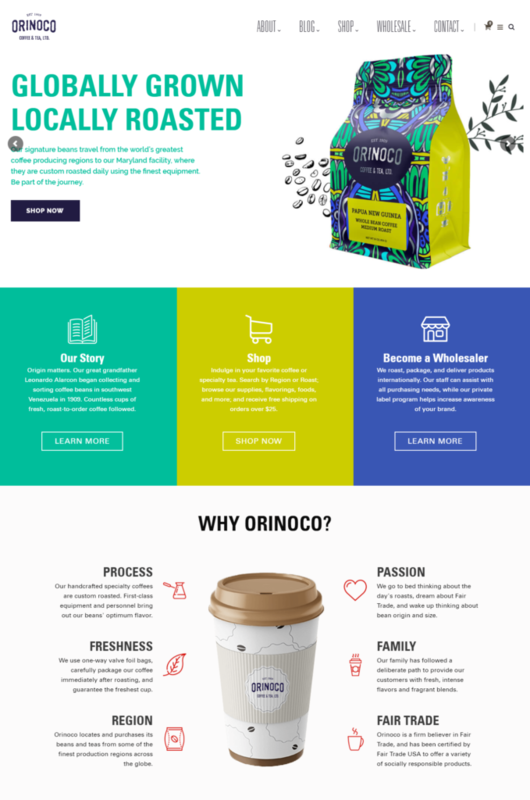 Our team then completely retooled Orinoco’s website, making it easier to locate and purchase coffee and related products. We updated Orinoco’s online store with a new WooCommerce platform, delivering a high level of customization and performance for the company, and an engaging, easy-to-use shopping experience for their customers. The site’s color scheme had been focused on various hues of brown that, while reminiscent of coffee, were not inviting or engaging. Our designers reinvigorated the visuals, implementing large, vibrant images and clickable icons, while brightening the site overall. A revised home page incorporated compelling new copy and calls to action, and redirected visitors to an improved shopping experience. Orinoco’s bag redesign attracted notable attention with a prominent feature on the consumer packaging platform Dieline. IMPACT continues to attract coffee-lovers to their new obsession with various strategy and social media tactics for Orinoco, as well as ongoing website management.